L-Carnitine-L-Tartrate (LCLT) plays a vital role in energy metabolism, specifically in the transportation of fatty acids into mitochondria where they can be burned for energy. Studies suggest that LCLT leads to improved performance, testosterone support, and overall fat metabolism. What we’re interested in for LCLT is its ability to increase the ease at which fatty acids can be transported and oxidized for fuel. No fatty acids to oxidize for energy? No fat loss. LCLT is a no-brainer inclusion if losing fat is your goal. Acetyl L-Carnitine is the acetylated form of L-Carnitine, which is readily utilized in the Krebs Cycle. The acetyl group is used to form acetyl-CoA, the intermediary of energy from amino acids, carbohydrates, and fats, shown to lower triglycerides. Acetyl L-Carnitine has scientific data showing improvements in insulin sensitivity, which is crucial for optimal weight loss and keeping the weight off. Garcinia Cambogia is a highly publicized supplement, suggested to support healthy weight loss. Garcinia Cambogia contains Hydroxcitric Acid (HCA), which can be shown to support weight loss via reduction in appetite and supporting one’s metabolism. Unfortunately, Garcinia gets bad rep because of some doctor’s who touted it beyond its abilities. Garcinia is a great weight loss option when utilized in conjunction with other thermogenic fat loss ingredients. TeaCrine® has a multi-pronged effect that is ideal for demanding athletes, driven professionals, gamers and anyone striving to attain peak performance. Based on preclinical and human clinical research, TeaCrine® facilitates a wide range of healthy functions in energy, focus, mood and motivation. TeaCrine® delivers energy, mental clarity, and improved motivation without increasing heart rate, blood pressure, crash, jitters, or habituation typically associated with caffeine; habituation simply means the diminishing of a physiological or emotional response to a frequently repeated stimulus, in this case unlike caffeine habituation. That being said, caffeine stacks perfectly with TeaCrine®. Vanillin is a phenolic aldehyde that is the primary component of a vanilla bean. 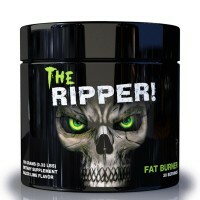 What’s a vanilla extract doing in a fat burner? It’s simple, vanillin is a selective agonist of transient receptor potential vanilloid subtype 1 (TRPV1). TRPV1 agonists are known to increase energy metabolism and induce lipolysis, which means that vanillin helps expend energy by breaking down fat, working in perfect synergy with LCLT.Banaba Leaf is a potent true full spectrum ingredient that stimulates glucose transport into cells and can help maintain healthy blood sugar levels. Studies suggest that Banaba leaf can support a lean and toned body through appetite and sugar control - all by increasing one’s sensitivity to insulin. Banaba leaf’s ability to enhance insulin sensitivity is crucial to sustained weight loss. Improved/increased insulin sensitivity allows the body to better handle carbohydrates for optimal storage. Those with poor insulin sensitivity tend to store more fat around their midsection and have issues with energy levels after eating carbs. They tend to get surges in energy, followed by a massive crash, where they then reach for more sugar or carbs to get more energy. It’s a vicious cycle. Those with optimal insulin sensitivity tend to store carbs in muscle glycogen and not as fat. Not only that, when eating carbs, those with better insulin sensitivity have more sustained energy levels that don’t fluctuate as much. Grains of Paradise, also known as Aframomum melegueta, is typically used for adding a bit of spice to various cooked dishes. However, research demonstrates the extract may significantly increases energy expenditure and accelerate the loss of brown adipose (fat) tissue. Greater energy expenditure increases the amount of calories you burn each day, which leads to more weight loss and less visceral fat. In a four-week trial, researchers found that 40mg of Grains of Paradise Extract caused significantly higher increase in energy expenditure than the placebo group3. Another trial in humans using just 10mg of Grains of Paradise Extract found that the Grains of Paradise group experienced greater visceral fat loss in the midsection than placebo. Just a friendly reminder: HydraShred at the maximum allowed serving contains 50mg of Grains of Paradise Extract! Theobromine is an alkaloid structurally similar to caffeine, derived from cacao, providing a more smooth and sustained energy. Theobromine increases blood flow and oxygenation to the brain and provides antioxidant protection too. Theobromine was added to HydraShred to help offset the potential restricted blood flow and reduced gray matter that comes as a byproduct of daily caffeine usage. Cocoa, with a high content of Theobromine, has also been shown to enhance insulin sensitivity. A greater sensitivity to insulin allows your body to better handle carbohydrates to be used for energy or muscle glycogen storage, not for fat storage. Theobromine in considered the all star of dark chocolate and scientists think it’s one of the main reason why dark cacao has so many health benefits! 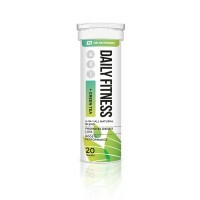 Caffeine sourced from Green Tea, Yerba Mate Extract, Guarana Extract, and Green Coffee Bean Extract. 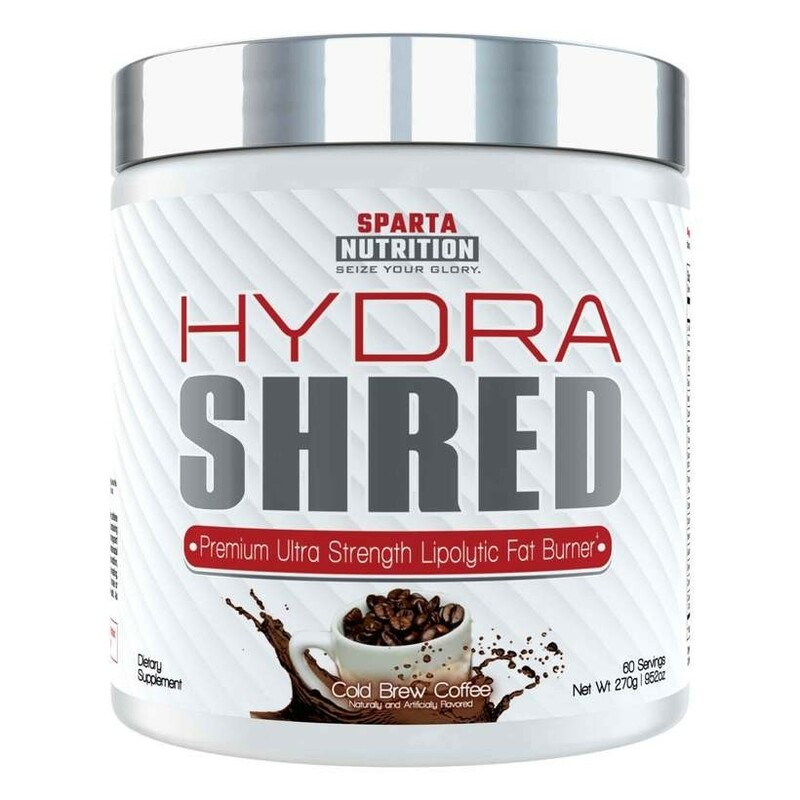 This matrix hits you in a multitude of ways, bringing the Hydra (6) to HydraShred. Using 6 sources of caffeine offers a sustained energy experience that is unique to HydraShred. Whereas most thermogenic fat burners front-load you with caffeine so you “feel” it work HydraShred delivers you strategic doses of caffeine at different times to keep you going longer. Cirsium Oligophyllum, a plant indigenous to East Asia, closely related to the thistle family. Studies show that this extract of the plant can help lose subcutaneous fat, which is fat found below the skin – specifically aiming for the hard to reach belly fat. As we all know, losing belly/midsection fat is an extremely hard endeavor. With the fatty acid liberation ability of L-Carnitine L-Tartrate and Grains of Paradise’ ability to enhance fatty acid oxidation, Cirsium fits synergistically to enhance fat loss in those last-to-go stubborn fat areas. Cocoabuterol® is naturally derived from cocoa. The base of Cocaobuterol™ is N-coumaroyldopamine and N-caffeoyldopamine, which target β2 adrenoceptors in the body inducing both fat loss and muscle growth. These β2 Agonists help increase airflow to the lungs as well, increasing your cardio capacity and maximizing the rate at which you can uptake and utilize oxygen. The reason EGCG is included is that N-coumaroyldopamine and N-caffeoyldopamine are rapidly metabolized by the body before having a chance to target the β2 adrenoceptors. EGCG inhibits this mechanism and allows N-coumaroyldopamine and N-caffeoyldopamine to do their job. Overall, HydraShred is the most advanced lipolytic fat burner designed to tackle fat from several angles. While other thermogenics offer just energy in the form of dangerous levels of caffeine, HydraShred doesn’t rely on only stimulants to provide you results. Using only the best fat-loss ingredients at or above clinical dosages, HydraShred will help you burn fat, provide energy, and help you achieve your goals*! GUARANA, CHROMIUM & GREEN TEA blend - can reduce anxiety, promote weight loss and improve mental performance. Guarana & L-Carnitine are nootropics and can boost mental clarity and performance. 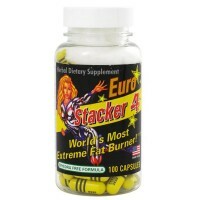 NVE Pharmaceuticals, the manufacturer of 'the world's strongest fat burners' Stacker 2, 4 and XPLC, has successfully launched the first generation of ephedra-free fat burners, with Stacker 4 as the absolute top product. The hardest part of dieting is turning up your internal boiler so that your fat reserves are forced to use their stored energy to fuel your body’s metabolism. Stacker 3 XPLC proves that although this is difficult it is not impossible. Your body becomes warmer, being turned up at least two ‘notches’, and the energy needed for this is taken directly from your fat reserves. Stacker 3 XPLC gets your body to function at a higher level for many weeks. The extra advantage of a high metabolism is that your body does not slow down, so you do not experience that annoying yo-yo effect that is common with less effective products.